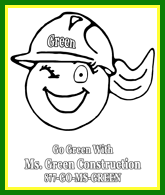 Ms. Green Construction's Environmental Information for Kids! It is important for people of all ages, even kids, to learn about the simple things we can do every day to help our planet.Some of the simplest things we can do are saving energy around our houses and schools and Reducing, Reusing, and Recyling the things we use every day! There are many simple ways to save energy around the house, the simplest are to turn off and unplug things when we are not using them, especially lights when no one is in the room. Also, heating our home uses the most energy per year in a place with cold winters like Michigan, so we should always make sure that our windows and doors are not open or letting in a draft and quickly go in and out when we have to open the doors! 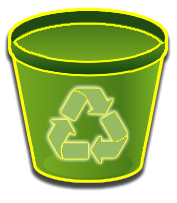 It is also important to Reduce, Reuse, and Recyle the things we use. There are many things that we use every day that can be recycled like plastic bottles, newspapers, cans, glass and cardboard boxes and packages. Some of these things like glass bottles can take up to 1,000,000 (one million!!) years to decompose if we don't recycle them. We can also make 20 aluminum cans from recycled material using the same amount of energy that it takes to make one can from new aluminum!! 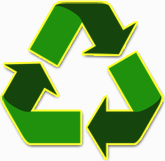 Even though it is now very easy to recycle, 32% (one third) of all our trash in landfills is still paper and cardboard! For every ton of paper that we recycle we save 17 whole trees which can help to keep our air fresh and our soil from eroding. It is also important to protect our water and try to reduce the amount of water that we use without a good reason. We can do simple things like turning off the water while we brush our teeth and to make sure that we don't leave the hose on outside. Just by leaving the hose on for one minute when we don't need it we waste 8 whole gallons of water (8 big jugs of milk!). These are just some simple steps we can all take to try to reduce, reuse and recycle. See how much you have learned by taking our quick quiz! !